Banagher Precast Concrete were awarded the contract to supply Prestressed Concrete Bridge Beams, Permanent Formwork, Parapet Panels and Retaining Walls for the N25 Sarsfield Road and Bandon Road Interchanges by Siac Construction. The Bandon Road Interchange consists of two spans of approximately 22m. 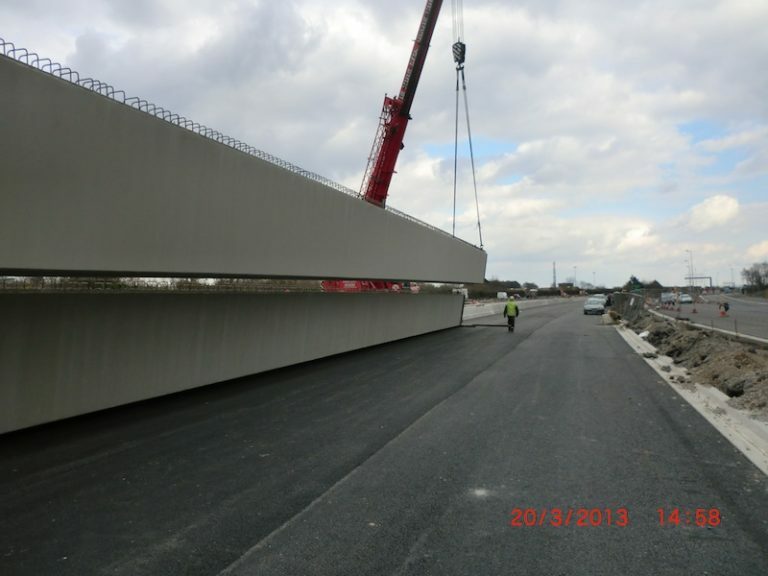 The preferred solution for this structure was to use Banagher Precast Concrete’s W7 prestressed beams. We manufactured 16No. W7 beams each weighing approximately 38 tonnes. 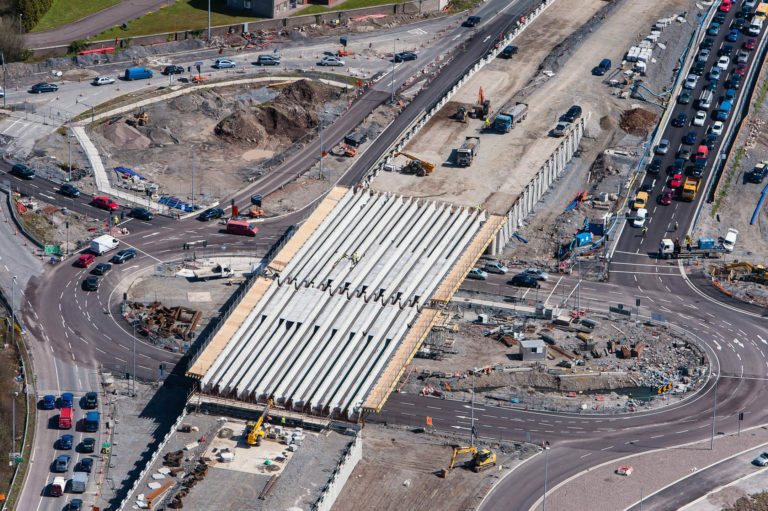 The spans to be catered for at the Sarsfield Road Interchange were considerably larger at 40m. 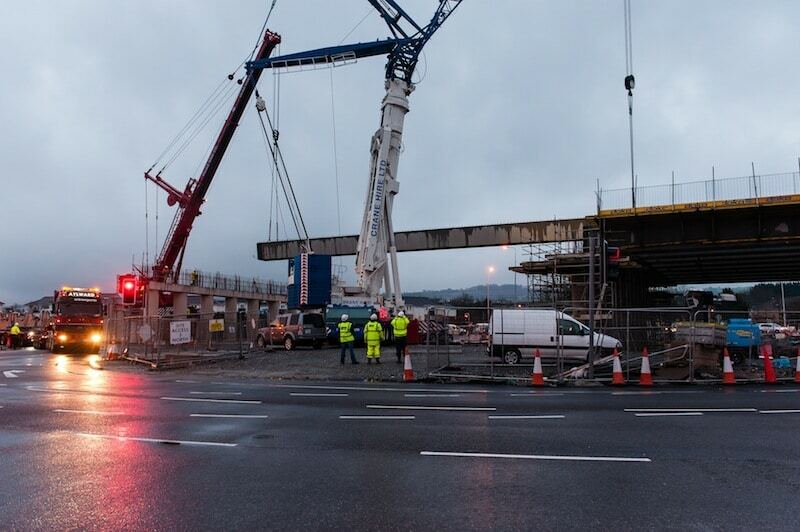 To span this length we used our W14 Bridge Beams, which were 1800mm deep and 39m long. Each of the 18 beams used in this structure weighed 95 tonnes and were transported to site on specialised modular trailer systems. 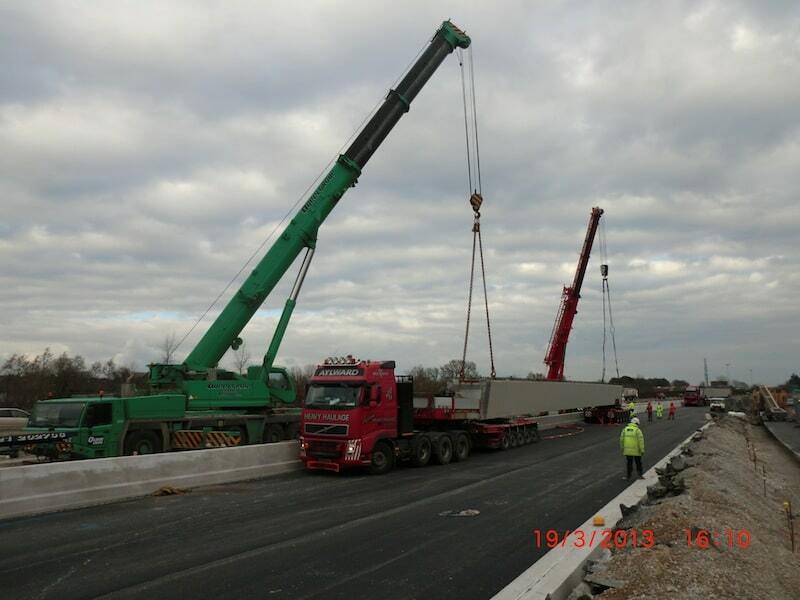 Another large element of the contract was the Precast Parapets, with over 2,000m required. The parapets were cast in custom made steel moulds and were designed to accommodate the addition of a noise barrier. We also manufactured special Parapet units incorporating bases for the lighting columns. 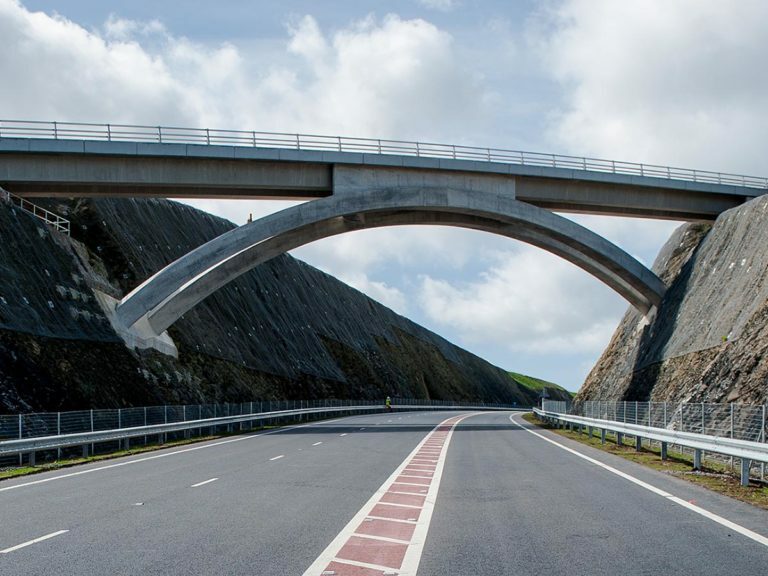 The Scheme provides the final link to a high capacity, free flowing route from the Western end of the N22 Ballincollig Bypass to the Northern end of the Jack Lynch Tunnel for longer distance strategic traffic. The Scheme will provide a high quality linkage between the N22 and N71 in the Southwest with the N8, N25 and N28 in the North East.